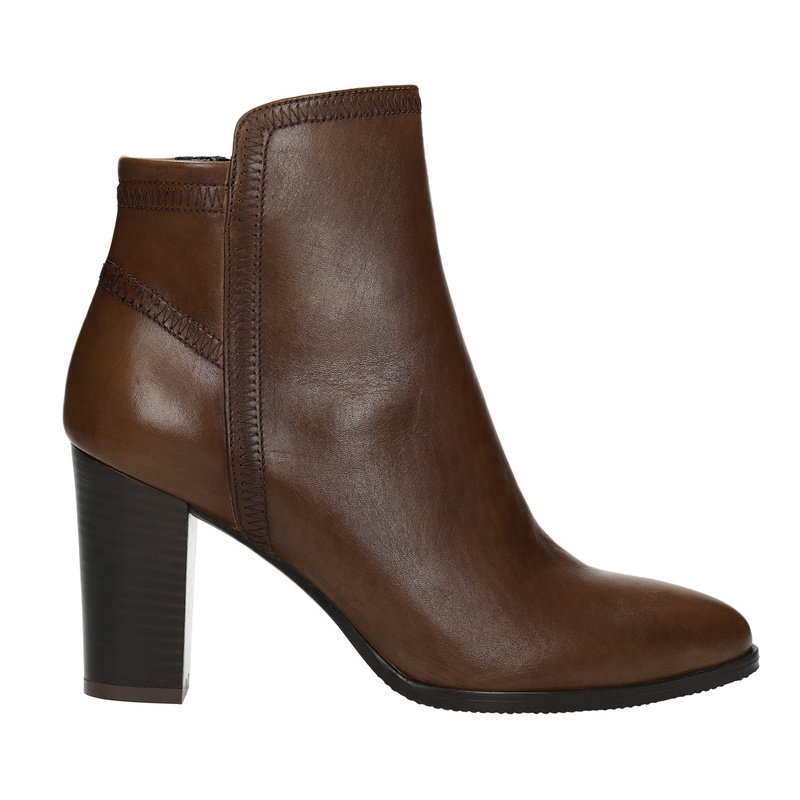 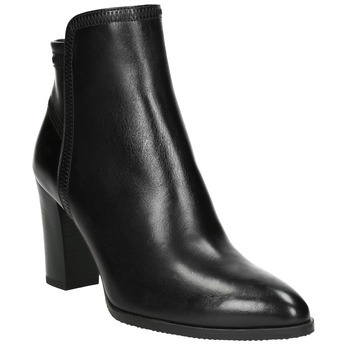 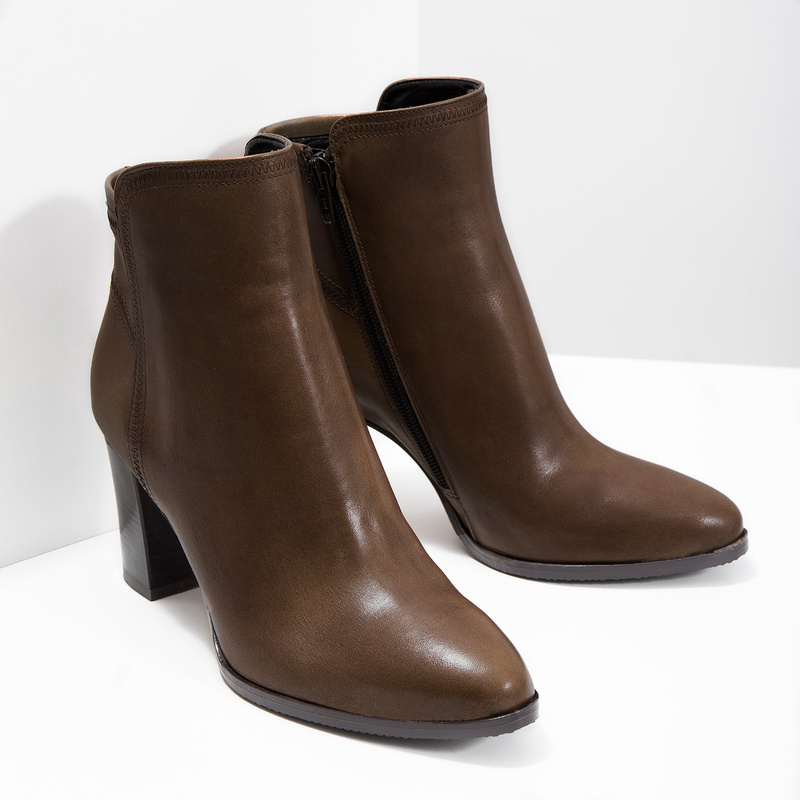 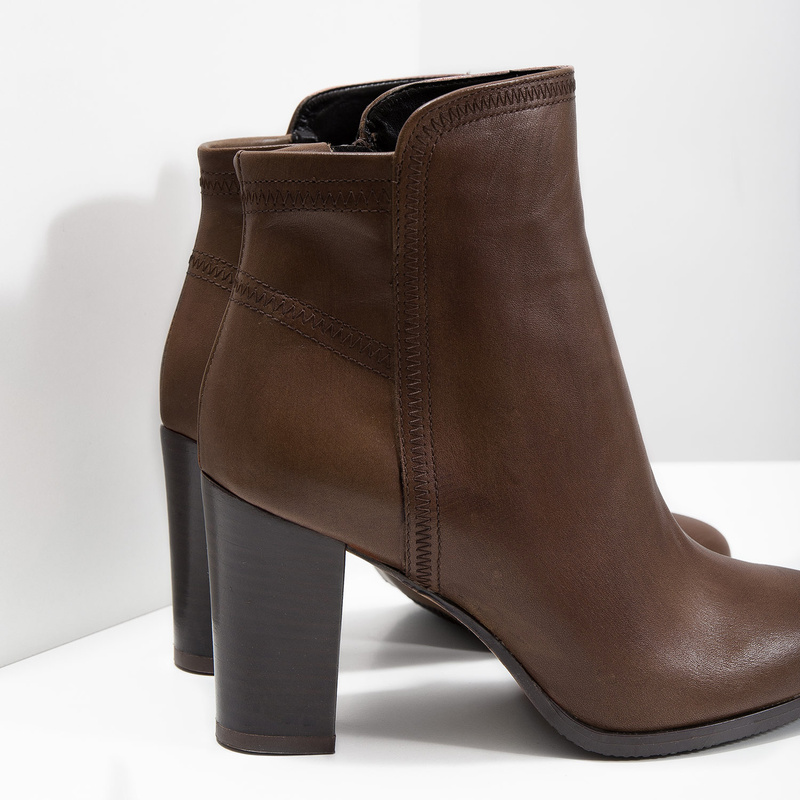 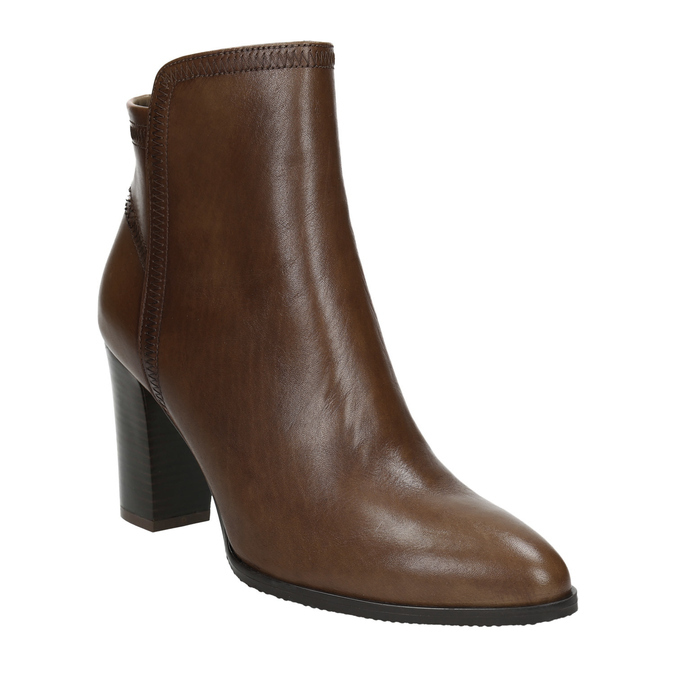 These stylish ladies’ boots are cut above the ankle, and the brown leather upper features bold stitching. 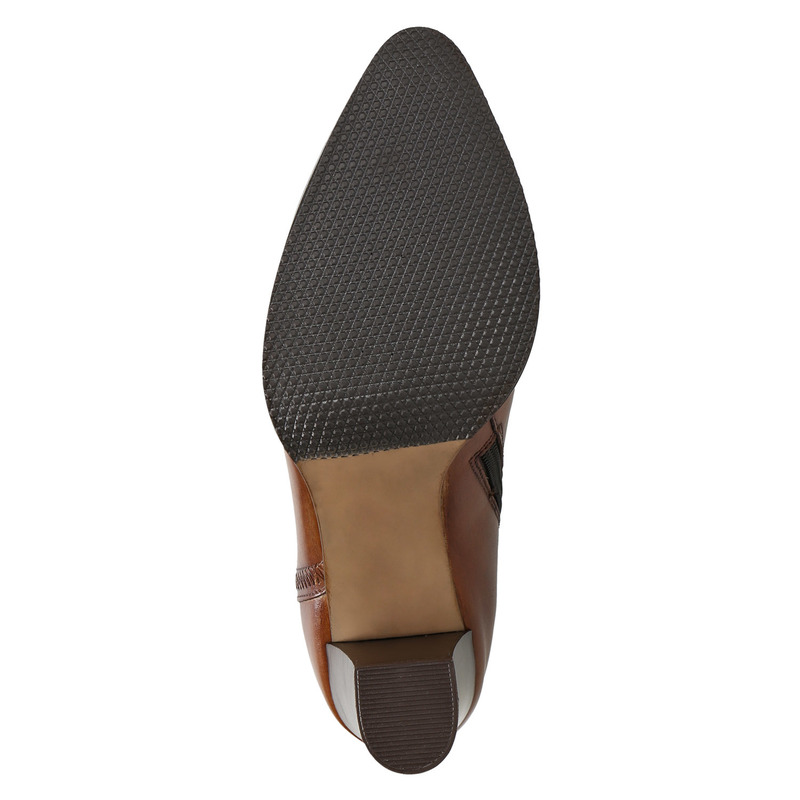 The insole is also made of leather, which guarantees maximum comfort for your feet. 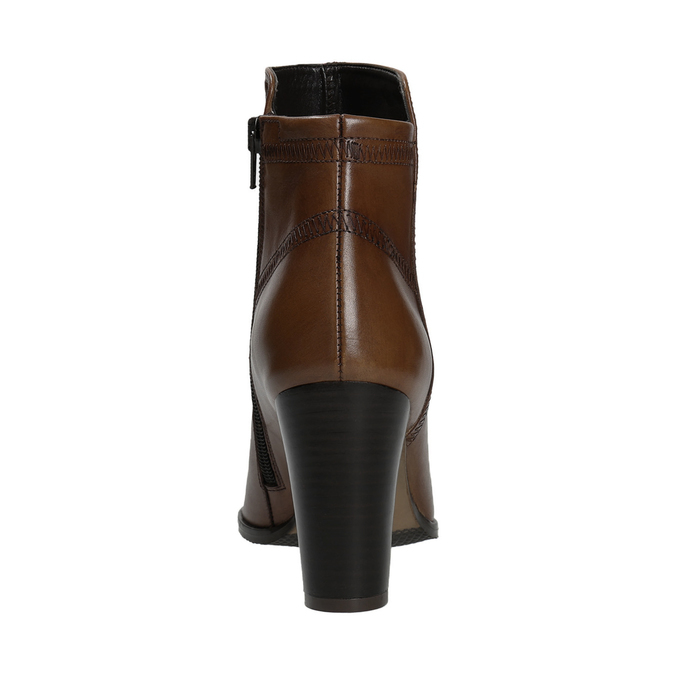 The asymmetrical cut of the boot and the pointed shape add flair to this model. 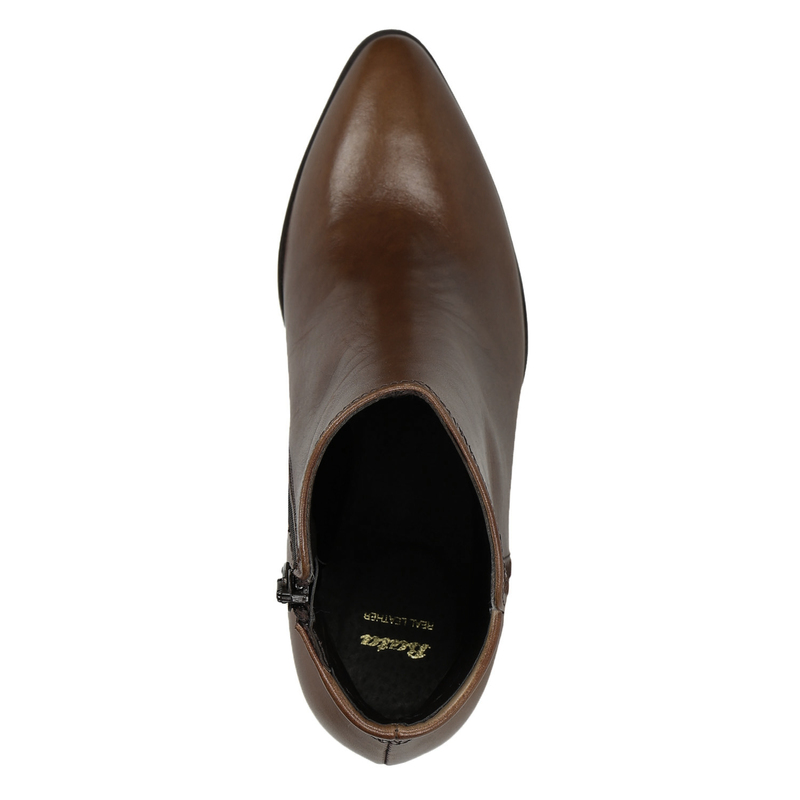 Wear with slim-fit trousers that can be tucked casually into the boot, and finish with a hobo-style handbag.